I just got off a plane at LaGuardia this afternoon after visiting my brother for a few days. 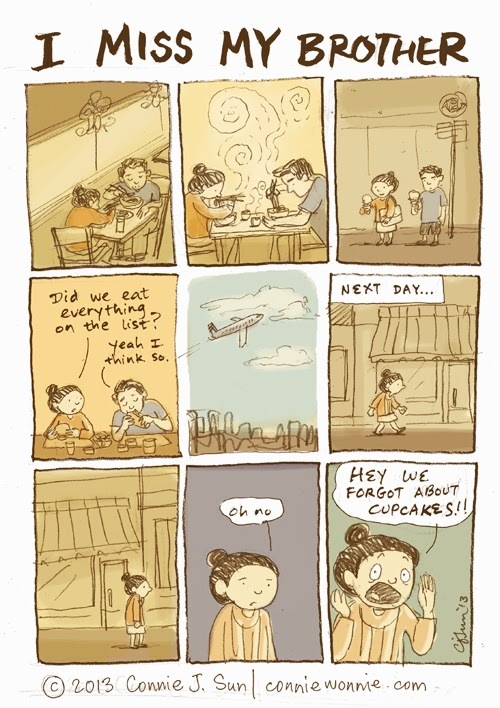 I came across this comic during a Goigle search and can totally relate to this (& I miss my brother!). Why does this phone autocorrect to nonsense?